A classic men's watch from Seiko. Featuring a stainless steel bracelet, round blue dial and date function. 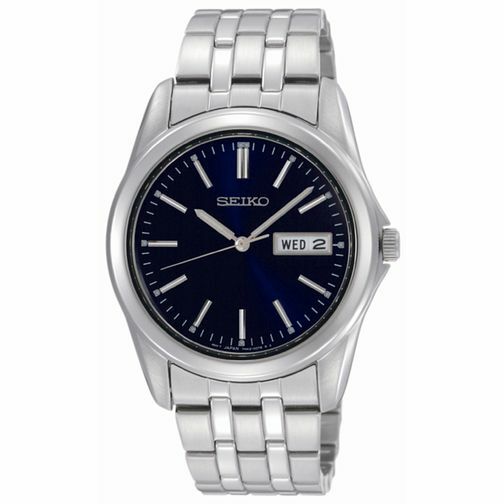 Seiko Men's Stainless Steel Bracelet Watch is rated 5.0 out of 5 by 3. Rated 5 out of 5 by Anonymous from Mrs Webster Bought as a Christmas present for my husband. Extremely impressed with the quality, functions and look of the watch. Competitively priced on-line compared with local jewellers featuring the same watch.